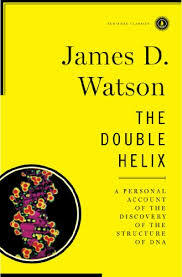 DNA Helix research papers examine the double helix that was published in 1953 by James D. Watson and Francis Crick. In many biology research papers, the science of DNA structure is very important. It is nearly impossible to study biology without a firm knowledge of DNA. Paper Masters can help you write your research paper on DNA Helix and give you a complete understanding of the structure of the double-stranded molecules of nucleic acids. The DNA helix is the structure of double-stranded molecules of nucleic acids. Also known as the double helix, the structure of DNA was first published in 1953 by James D. Watson and Francis Crick, working from research pioneered by Rosalind Franklin and others. The DNA helix is stabilized by the hydrogen bonds between the nucleotides and the base-stacking interactions between the nucleobases. Inside cells, DNA is grouped into chromosomes. During cell division, the chromosomes are duplicated during the process to DNA replication. During replication, the DNA helix unwinds and forms a new double helix. This process occurs in all living organisms, serving as the basis for biological inheritance, passing traits through generations. A 2011 NASA report, based on meteorite studies, suggests that the building blocks of DNA may have originally formed in outer space before coming to Earth billions of years ago. Spatial Intelligence - Watson and Crick were able to take Rosalind Franklin's flat molecular model and visualize it as the three dimensional double helix. Order a research paper on Spatial intelligence from Paper Masters. DNA Testing -Given that DNA is polymorphic, scientists are able to distinguish the DNA of one individual from another, making identification a fairly certain outcome. DNA Profiling - It seems that when it comes to profiling through DNA analysis there are several advantages over the conventional fingerprint. Paper Masters writes custom research papers on DNA Helix and examine the double helix that was published in 1953 by James D. Watson and Francis Crick.